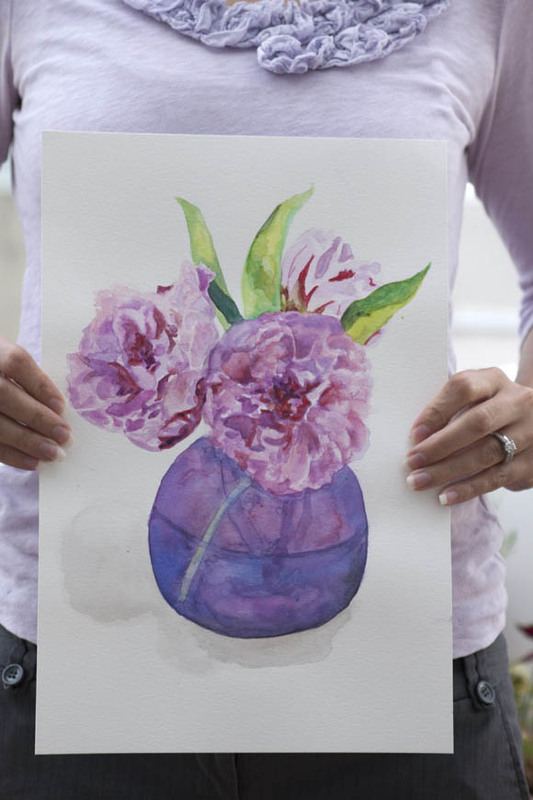 This bouquet of peonies made my day, so I painted them. Peonies are fairly challenging to paint because of they are relatively monochromatic and have tons of layers to their petals. I clearly have a thing for painting flowers. I believe it has to do with the bright colors, the portability of the subject matter, and the organic nature. It is for these reasons that I will be adding a section to my shop where you can purchase my flower painting prints. Enjoy your day and be sure to smell the flowers! Painting and photo by Hand-Painted Weddings. That very much looks like a design that could be on the shirt itself! Very beautiful!